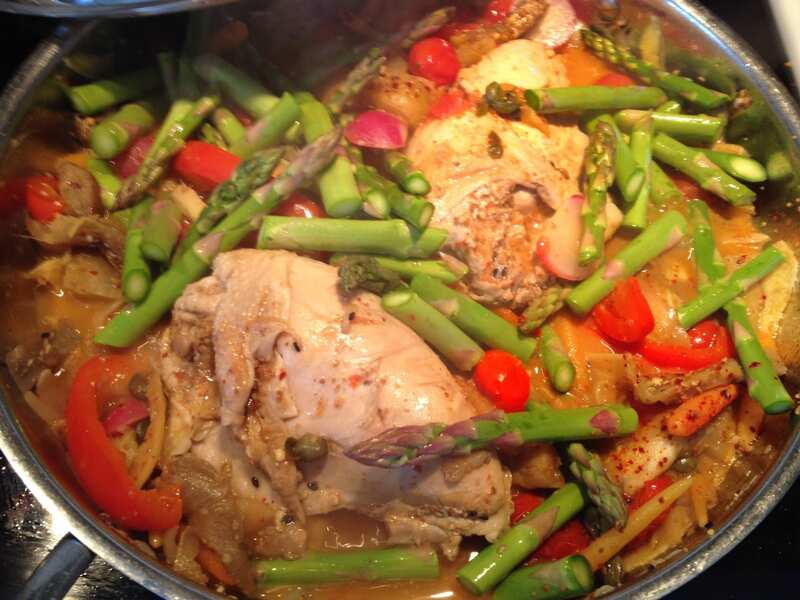 Simply Natural Gourmet Cookbook / Dinner Recipes / Tomato Ginger Chicken with Asparagus and Eggplant! 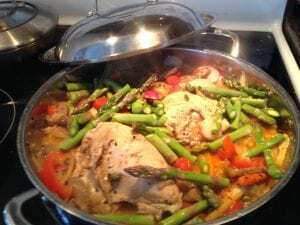 Tomato Ginger Chicken with Asparagus and Eggplant! with a sushi and Chinese black rice medley! Just delicious!! organic vegetables that you will want to make time and again!!! The rice will have a sticky but chewy texture! Just delicious! !